After a lot of bargaining, paper work, meetings with your solicitor you have purchased the plot of your dreams and now you are told you need an architect. Then most probably you have asked yourself the question; but what does an architect do? Or perhaps the question should be: what shall I expect an architect to do for me? To answer these questions, you need to understand the range of services architects normally provide in Spain and which might make financial sense for you. Watch out for those pseudo architects!! Before we start explaining the work of an architect in Spain let me inform you that there has been a proliferation lately of intermediaries who position themselves in internet as professionals of the building industry or even solicitors or accountants who are offering the services of architects. Well these people will obviously pass the work to the architects that they have on their list and charge a percentage of the fees that you will end up paying yourselves. They make themselves visible on the web gaining a privileged position by paying a high SEO. Spain is becoming in many aspects very similar to the UK and for that matter to the rest of European countries due to the increasing influence on the Spanish legislation by the EC, but when it comes to architects’ services there are substantial differences, especially if we compare it to the services offered by my colleagues in UK and France. To start, it is obligatory to engage the services of a Spanish registered architect for new builds and for any rehabilitation if it will include structural reforms or changes on the façades in any way or form. A good rule of thumb is to ask at the local council if the works you intend to do requires a” minors work licence” or a “major works licence”. An architect is always required for the latter. 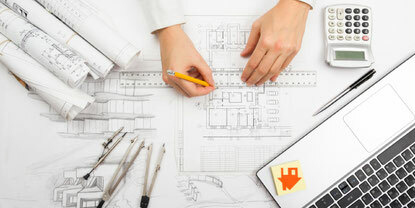 What does an architects do? 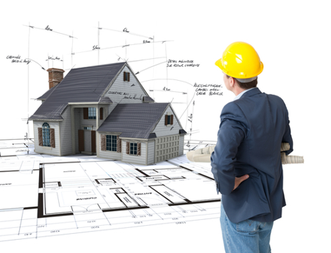 The next question that you may ask yourself once you know that you require an architect is…. what does an architect do? Ask different architects about his or her daily responsibilities and you’ll get a different answer every time. What an architect does on a daily basis depends on where they live, what kind of firm they work for or whether he is the principle of that firm, and an uncountable number of other factors. Here at Pacheco & Asociados we do offer a comprehensive service that normally it is broken down following an old protocol from to the Spanish College of Architects. The jobs are broken into various phases and broadly meets the vast majority of architectural associations throughout the world. While different architectural firms use different terminology, they generally fall into five or six main categories of works or phases. One important point to take into consideration is that, while in most European countries the architect requires the hiring of specialists such as structural engineers, energy consultants and quantity surveyors, here in Spain we are qualified to carry out these tasks and are normally included in our fees, this single fact makes our fees very competitive compared with those charged by our European colleagues. However, we are not demigods by any means and there are idiosyncrasies which need to be explained here. An independent assistant architect have to be engaged by the client by law before the construction starts to supervise the building work. Does that mean that the architect does not supervise the works? No it doesn’t. The architect will supervise the works providing any additional information to the contractor clarifying any aspect of the works that he may need. The aparejador’s job is to supervise that the contractor uses the materials and specification stated on the project and he normally, (not always) will supervise the health and safety of workmen on site. I say not always because sometimes this task can also be carried out by the architect if he so chooses and the client agrees. The architect does not normally provide you with the services of an aparejador (He doesn't normally include this service in his fees) and if he does he will normally charge you an additional fee. Two other services that have to be engaged by the client separately. One, is a geological laboratory which will perform soil tests that will indicate us architects the load capacity of the ground as well as its chemical composition so that we know what type of foundations to calculate and what type of concrete to use in case of sulphate or other chemicals may be present in the soil. This requirement is imposed by the new Building regulation. The other service that the client has to engage before the building work starts is an approved and registered laboratory to carry out concrete and steel testing during the construction of the structure. They will take samples of both concrete and steel and will implement approved tests and pass the reports to us architect and to the client. This requirement is also imposed by the new Building regulation. Schematic design: (Also called Basic Design, Initial Consultation and Design, or Building Program & Site Analysis, among other things): Here the architect visits and analyses the building site and gathers information from the clients about their design ideas, budget, and housing needs to develop a detailed “program,”. Here it is highly recommended that a written statement of your needs and design goals are passed to the architect so that there is no misunderstanding in the future. Don’t forget that any decision made at this early stage will have a tremendous impact on the overall design. It is the architect job to put all in the boiling pot and come up with key concepts and rough sketches showing the size, general layout, and appearance of the building and how it fits into the building site. A couple of options may be presented. It is highly desire that at this stage you communicate clearly to the architect what is important to you in the design or you can waste a lot of your time and the architect’s time going back and forth on design ideas that do not meet your needs. Once the client accepts a preliminary design, then it commences the process of producing the nuts and bolts of the project turning a rough concept of three-dimensional relationships into a real construction design with floor plans, including roof design, and some of the interior and exterior details that will provide a building its grace and personality. This will usually include some scale drawings, a basic structural plan, and basic specifications for the main components of the building. Today we use modern design software, so that we offer our clients the possibility to see your whole house in 3-D and walk around and through the 3D building on the computer screen and we are now trying the VR (Virtual reality) scenes using VR glasses. Here we include the detailed drawings (blueprints) and written specifications or “specs” that should be detailed enough so that you can obtain quotes from different contractors based on like for alike, who will produce essentially the same building. 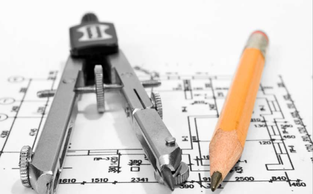 Detailed drawings are also required to obtain a building licence. One major change on this phase in Spain that have taken place on the year 2007. In 2007 it came into effect the new Spanish Building Regulation called “El Código Téncico de la Edificación CTE” (The Technical Building Code). Where before the architect could specify any materials without any major consequence, this has changed. The construction documents have to follow a protocol of minimum requirements and specifications, so that all materials have to be proven that it will comply with the new requirements imposed by EC directives on energy saving etc. This new CTE is no joke. This new approach has instigated that architects have to produce a minimum of 500 pages in any small rehabilitation work. A single villa project will necessitate 700 to 1.000 pages of calculations and specifications. Our plans and specs are now very precise and highly detailed, where the architect had to comply with the CTE nearly every element that the contractor will handle has to be properly thought of, specified and quantified. At these stage things become a little fuzzy here in Spain compare to say the UK so it is important that you discuss with your architect who will do what right at the beginning before you sign the architect’s contract of engagement. Here in Spain most architects do not get involved in this phase of the project. They hand over the construction documents to the client and wait to be notified as to the commencement of works. Sometimes they will present the project at the local authorities on your behalf but not always is done so. It would advisable that you get your architect to act on your behalf on obtaining tenders and to go through the bureaucratic process of obtaining your building licence. The architect’s fees may vary if you opt to do it yourself but I can sure you that it will not be worth your while. I urge you to read this link “How can my architect save me money in dealing with the contractor?” which shows that the fees paid to the architect on this phase may be more than amortised. At this stage you loving architect will help you obtaining bids from a list of contractors who the architect feels are qualified for the project, although we normally ask that you suggest your own contractor to the bid. The architect will answer contractor questions to clarify items in the plans or specs, possibly make revisions to the plans or specs, and will negotiate with one or more of the contractors on your behalf. They will then make recommendations about who can best meet the needs of the clients in terms of quality, cost, and schedule. The owner, however, makes the final decision. Here, both the architect and the aparejador functions as the owner’s agents, making sure the builder and subcontractors are following the plans and specifications (there’s always room for interpretation), and not cutting corners. It’s important to note, however, that the architect is not contractually supervising the contractor but the aparejador is. The architect will carry out various inspections in good faith to make sure that the contractor is interpreting his project. At the beginning of the construction phase, the architect may visit the site, weekly or even more often than that, to answer any questions that arise. Construction administration will also include preparing additional detailed drawings if needed approving the contractor’s requests for progress payments approving any changes to the plans and resolving any issues stemming from conflicts or ambiguity in the plans or specs. Change orders can result from poorly drawn plans, owner’s requests, “hidden conditions,” material substitutions, or other deviations from the original plans inserted in the original bid. How much does an architect cost in Spain? For newly build i.e. to design an individual villa, the fees of an architect may circa the 10% of the construction cost. There were a standard fee proposed by the Official College of Architects some years ago but these fees were forbidden by the government as they were considered against the free market so each architect would charge a fee, however the standard charges are around 10% to 15% of the official cost of the works (Precio Ejecución Material or PEM) which is not the same as the real costs, they tend to be lower than the real cost. The PEM are official prices that historically were supplied by the College of Architects and still used by some Local Authorities based on type of works, locality and size of the project. Overall they tend to be around 30 to 40% of the real costs which makes Spanish architects` fees substantially lower than those of the UK if you also take into account that here the Spanish architects do include in their projects structural calculations, full bill of quantities and the lower construction price taken to calculate the overall fees. As it was discussed above it is a good idea to find out exactly beforehand the list of services that the architect will fulfil. Anything under 7% is starting to be suspiciously low and anything above the 10% needs to be argued with the services that will be included. Most architects in Spain charge a percentage based on the construction costs obtained from the number of square meters. We normally have a database of construction prices throughout Spain or at least our studio has and we can easily workout a construction cost based on the initial brief obtain from our clients. The percentage depends on whether the project is for new construction or rehabbing existing construction. Rehabbing existing construction often costs more because the architect has to investigate the existing construction and the technics used. In a very old house, they may be dealing with elements that aren’t up to the new code. In this case we may be talking about 12%. There is an exception to this rule and that is when dealing with relative small projects. As it has been explained above with the new CTE code we have to produce the same amount of info as per one individual villa so the pro rata rule does not work here. How much do architects charge per hour? Many people are hesitant to hire an architect on an hourly basis and I am not surprise, mostly because as everyone knows everything takes longer than previously anticipated, specially in Spain. No one wants surprises. However, when dealing with a planning consultation, specific construction enquiry or perhaps managing some paper works with the local authorities, this may be the best method to engage an architect. As a guide our fees ranges between 100€ to 150€ per hour depending on the job itself, however it has to be said here that in large development projects an enquiry to the right architect could save many thousands of Euros to the developer and the price cannot be based just on the time factor but also on the relevance of the information provided. “It is not the time that it takes to tight a nut but to know which nut to tight”. Selecting an architect should be done with care. You’re going to be working with this person for a long time, so you have every right to be choosy. In fact, by being particular about who you hire, you stand a better chance of satisfaction with the end result. It is obvious that to hire an architect here in Spain it is indispensable that he or she speaks English and not just enough to get by, design involves a lot of erudite approaches and sometimes it has to be explained properly and fluently to the client and vice versa not least when dealing with technical matter, confusing explanations or clarification may cost a lot of money. Please see this link where further explanation is provided in how to select an architect in Spain. Genuine passion for your project. Yes, I sincerely belief that if any one do not feel passion for what he does he is not producing the best possible work. It is a difficult attitude to detect but I am sure you will know it when you see it. Your architect should belief in your project from the start, so you should look for an architect who undertake your project with full of enthusiasm and passion. Ability to work together. As mentioned above it is essential that your architect should speak English fluently, so meet the people in the practise who you will actually be working with. You need to be sure you both communicate well with each other and most important that you can get along with. Capacity to handle the scope of your project. You may wish to consult various architects first to discuss cost, feasibility and design coordination. Select two or more firms and ask for references from previous jobs similar to yours. Verify their expertise in your type of project and their ability to complete projects on time and on budget. Only registered architects. A quick call to your local College of Architects will determine if the architect is qualified and registered. If your Spanish is not so good you can always ask a friend or your solicitor to do it on your behalf. That will ensure that the architect that you are about to hire has an active license and if the architect is also a Member of the Royal Institute of Architects (RIBA) of the UK even better!! What shall I ask my architect at the first meeting? So what are the pertinent questions to ask your architects at the first meeting? What is his/her design philosophy? Understanding for Design philosophy how the architect approaches the design such as organic, modern, functional art, or industrial. Basically, what is their “style. You want to hire an architect who is experienced and familiar with the style you want, or that can provide a design that you feel is what you are looking for. What’s his/her experience with projects similar to mine? You want to be sure that the architect has the experience to handle a project of the size and type that you are looking for. Someone expert in one and two story residential homes might not have the experience to handle a multi-story sky-scrapers blocks. What problems, issues, or reflexions does him foresee? This will let you know about the architect’s experience in dealing with similar projects. What is the estimated time to handle this project? Depending on the his/her workload the time facto may vary quite a bit. It could be that the time factor may not be important or all the contrary time could be a crucial issue in your project. Some factors can’t be controlled by either the client or the architect, such as weather, zoning reviews, and contractor scheduling. How much will your services cost me? Knowing the architect’s fees will help you manage the total development budget. As you ask this question and establish your budget, be sure to add an extra percentage to account for any unforeseeable items. What are his/her services, and what would incur additional fees? Be sure you obtain a detail list of his services and also a list of the services that you will require but he will not provide. Such as, 3-D modelling, interior and kitchen design. As mentioned before here in Spain architects will not provide the services of an assistant architect, laboratory services etc. There are more questions to ask depending on your project and preferences, such as if the architect has experience with “green” design and what fees may be incurred by certain design changes. It’s best to ask as many questions as you can think of to get all of the information you need before the engagement contract is signed. What is the time limitation for raising concerns over defects in our new building building. We are told that it is two years. We have written many letters to the contractors, architects and project managers, colleges of architects well within the two year period - but did not take legal action until much later. We're told that we are out-of-time: is this correct? This is a complex matter because it does not only involves the damage itself but also the way in which it is reported to the other part. Let me explain, if the damage is an structural one i.e. involves the structure foundations or the supporting grounds you have up to ten years. If the damage involves the installation you have three years and one year if the problem it involves the finishes. You must have informed the other part in a "bona fide" manner, i.e. through a notary burofax etc. I hope that this has been of help. Hi, we bought land in Spalin and have in our opinion a small project..i.e a small 3 bed cottage using simple materiałs. How ever we need to clear the trees on the land. We have emailed many architects but no one wants to help..we don't know why...is it because its a minor project and an architect might not be needed? Would you be able to tell us where about is the land you bought, and approximate size of the of the villa you want to build.